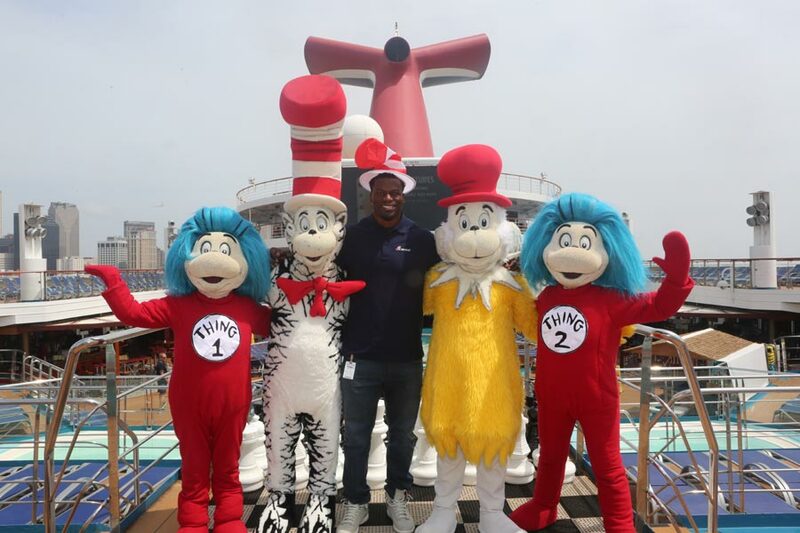 In a quest to promote literacy, kids sailing across all 26 Carnival cruise ships have read a total of 213 million words as part of Dr. Seuss Enterprises and Random House Children’s Books Dr. Seuss’s Word Challenge. The campaign has actually gone over the target of 100 million Dr. Seuss words to read. The huge accomplishment has been thanks to many activities and events on Carnival cruise ships this Summer. Carnival Triumph held one of the book reading events with New Orleans Saints tight end Ben Watson. There have been tons of readings with different guest readers and kids not just cruising on Carnival but also from charities like the St. Jude Children’s Research Hospital in Memphis, Tennessee. it’s been very impressive how Dr. Seuss has been keeping track of the word count. Kids onboard have been encouraged through the months of June and July to read their books and then log their progress with a word tracker at their official site. Launched in 2014, Seuss at Sea has become one of the most popular children’s program in the travel industry and includes such fun activities as The Green Eggs and Ham Breakfast with The Cat in the Hat and Friends and the Seuss-a-Palooza Parade and Story Time, as well as character interactions, Dr. Seuss toys and games, and popular movies shown on board. Dr. Seuss Bookville, a vibrant and colorful family reading venue, is also featured on select ships, including the new Carnival Horizon which debuted this year and also offers the first-ever Dr. Seuss water park at sea.